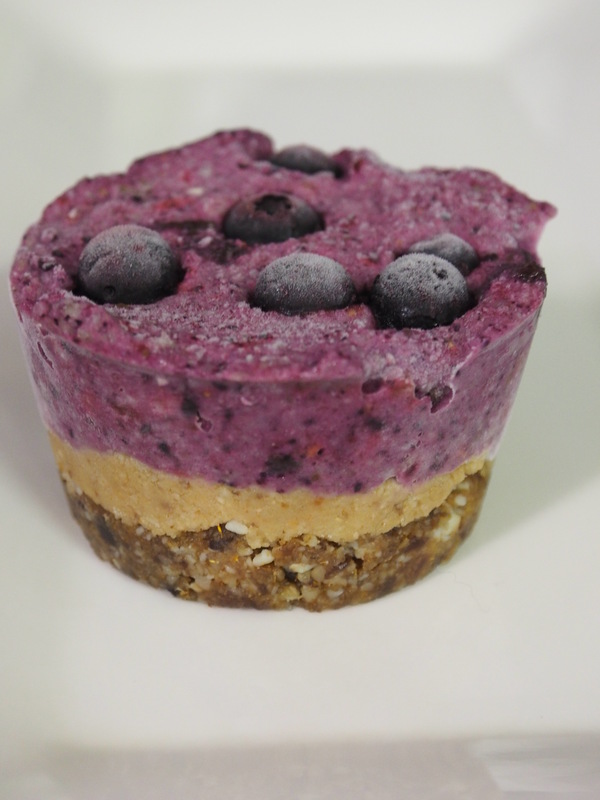 After recently making one of my magic raw vegan cakes and posting the recipe up on my vegan naturopathy site, one of my friends said “Yes, but where is the information about the cake’s magic? !” She misses the chakra cake posts! So I promised I would write a blog about the magic in this cake. I usually set the healing intent for a cake before I begin making it but this time the cake making process kind of swept me up and I became totally lost in making the cake simply for the pure joy of it. “So does this cake have any magic in it?” I asked Spirit. Of course it does!, came the reply. I’ve certainly been feeling a lot happier and lighter since making it, and every time I have a piece I feel all floaty and soft afterwards. “So tell me about this magic”, I said to Spirit, and promptly pulled a series of aura cards. First came Rumination Yellow. When I create the new edition of the Aura Card and book set, I might change the name of this colour because so many people don’t seem to understand what this word means. Thinking too much. Over-thinking! Mentally chewing ones cud… Going around and round in circles in your mind. While this colour definitely represents excess activity in the mental layer of the aura and congestion in the solar plexus chakra, it can also represent tangles or knots in the energy lines of the aura. The aura is composed of a multitude of energy lines, like complex highways or vessels of light along which energy travels, moving from one part of the aura to the next. The cardiovascular system on the physical level is a good metaphor for these energy pathways, so is the meridian system in Eastern medicine. When these energy lines become tangled or knotted, energy congested and stagnates, a bit like blood pooling and clotting in one part of the body. This creates blockages in energy flow, preventing energy from flowing freely and smoothly throughout the auric system. 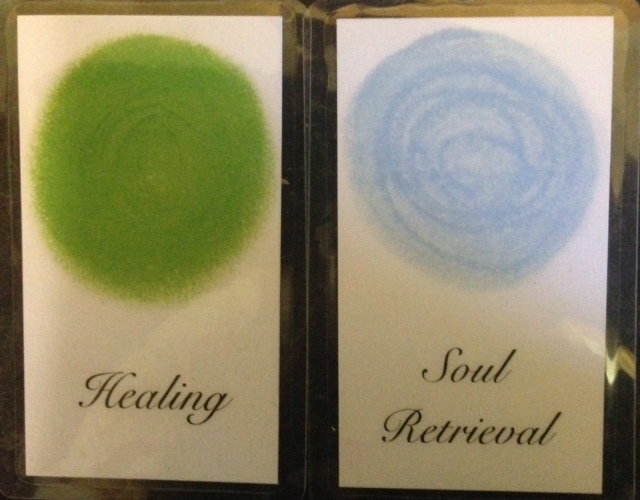 The next two Aura Cards told me where the energy knot was positioned: A blue card and a green card. It doesn’t specifically matter which blue and green card, just that they were blue and green. Blue is a throat chakra colour, and green is a heart chakra colour. This means the blockage, or energy knot, was positioned between my heart and throat chakra, disturbing the flow of energy between these two major energy centres. Many of us have been challenged on this level over the past three weeks or so. Blockages in this part of our aura can affect our ability to express how we feel. 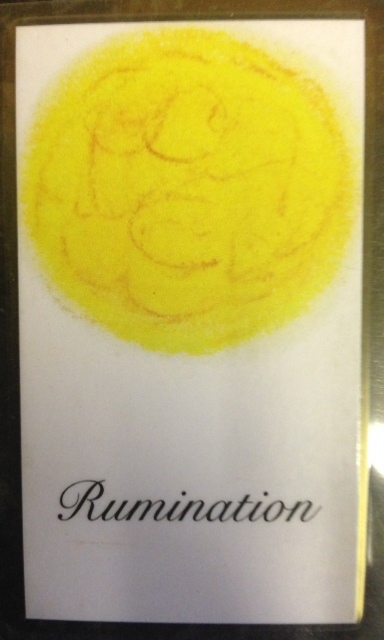 Rumination Yellow means we are tending to over-think our responses to loved ones, or reading too much into their behaviour and words. The throat chakra after all, is not just about self-expression, but includes our ears and the way we process what we hear (or don’t hear). “I wish this person would say they love me (or need me, or care about me etc….” can be a rumination that congests and muddies the flow of energy between the heart and throat chakra. This beautiful magic cake unknots the tangles between the heart and throat chakras so that energy can flow smoothly. Not only are we talking about knots between our own heart and throat chakra, the knots can lie between our throat and another person’s heart or throat chakra. In this instance, the knots in the energy lines can be liked crossed wires or misunderstandings between ourselves and our loved ones. When I make this cake, and when I eat it, all the knots dissolve and everything flows smoothly again, with great ease! If you would like the recipe for this cake, following this link to my Vegan Naturopathy page. I quite like it when I make a cake and find out later what it’s magic is! I love the surrender. It’s so beautiful to trust Spirit to care for us, rather than always dictating and directing our needs. I love the mystery, the magic and the process of discovery involved. Do y you have the recipe for this?